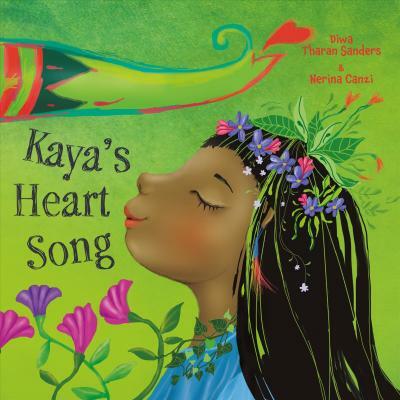 It was fantastic to be given a copy of Kaya’s Heart Song to review from the publishers Lantana Publishing. 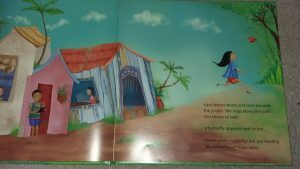 It is about a girl called Kaya, who lives in the Malaysian rainforest. This is her story of how she finds her own heart song. 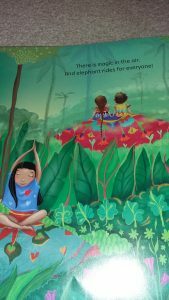 It is a heartwarming, joyful and beautiful story created by the combined talent of author Diwa Tharan Sanders and illustrator Nerina Canzi. As some of you may know I am quite used to reading and sharing wonderful stories with stunning illustrations, but there are few books I have read where the interplay between the two is so seamless it is as if they were one and the same thing. At the start of the story Kaya has a conversation with her mother in which she explains if you quieten your mind you will find your heart song. Then she runs off to the rainforest. This instantly reminded me of how spending time in nature helps me to quieten my own mind and to centre me. I was excited by the rainforest setting of this story which were so beautifully brought to life in vibrant colour by Nerina Canzi’s illustrations. As about 20 years ago I spent 3 months in the rainforest of Borneo (Eastern Malaysia), and it brought back some memories. However, what surprised me was how this story also reminded me of our family visits to local woodlands and of being in nature, when everything else is forgotten and you are just in the moment. 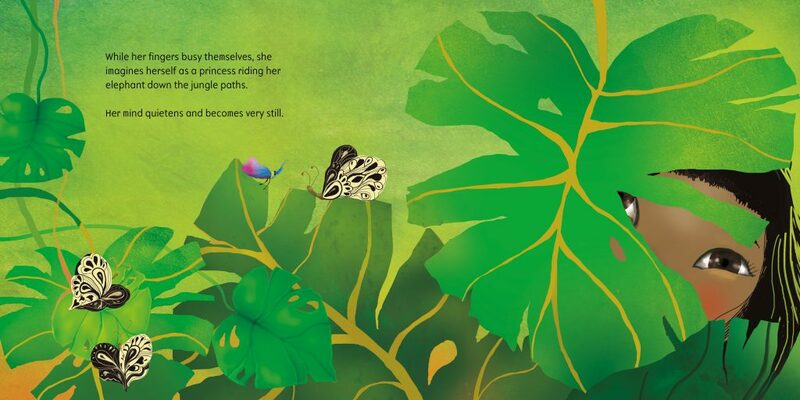 Kaya follows a butterfly and it takes her into a part of the rainforest she has not been to before. Where behind closed doors she finds an abandoned colourful Elephant carousel. Kaya’s first instinct is to climb onto the carousel and to start to uncurl the vines that are wrapped around it and whilst she does so her imagination wanders and her mind quietens and it is then that she finds her heart song and as her mother said is when ‘magic happens’. Maya’s journey into the rainforest seems to reflect the human desire to explore and seek out new things, and that when you pause you sometimes see things differently too. I love how the story brings Yoga into the outdoors and opens up new interpretations of mindfulness which will resonate with many people, but perhaps especially those that enjoy spending time outdoors. I would highly recommend this story to everyone aged 6 to 99 years. It may be suitable for some younger children. It is a heartwarming, thoughtful story that reminds us that when we do things we enjoy and immerse our selves in the moment, so that all other things are forgotten we can find peace, but also open ourselves up to new possibilities and maybe magic. For some children and adults this is a story that may need re reading and exploring before its message sinks in or the reader is able to interpret it in a way that is meaningful to them. In that respect my conversations with the author Diwa Tharan Sanders for my guest post on the Kaya Heart Song blog tour helped me to explore this book and what it meant to me. You can read it here. Find out more about the author and illustrator and buy the book from Lantana Publishing website. You can also order copies of the books from me at Readers that Care, and earn free books for you school at the same time.